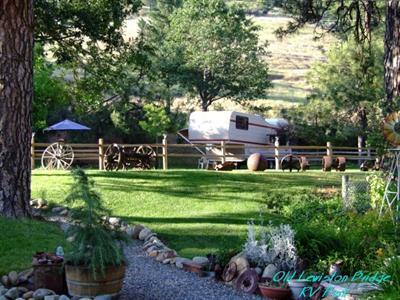 Trinity County Imagine waking up to a crisp summer morning with a breath-taking view of the Trinity Alps and air so clean you can taste its freshness. Then imagine doing it not just once, but every day of your life. That is what it is like to live in Trinity County. Trinity County is proud of its beautiful landscape and what it has to offer: the majestic peaks of the Trinity Alps, the clear sparkling streams and rivers, and the friendly smiles of the people who live here. The smiles are there for a reason. Life is good here. It moves along at a less hectic pace. There are no freeways, stop lights or traffic jams, and friendly locals will stop to let you cross the street. Trinity County is 3,222 square miles of unspoiled beauty. The mild climate has four distinct seasons, although none is extreme. Summers are mild with most days in the 90s and cool evenings in the 50s. With the lowest area at 600 feet and the highest at 9,025, snow falls occasionally and last for only a few days. Rain is often seen throughout the winter months. The communities are small and rural. Weaverville, the county seat, has about 4,000 residents. Hayfork is the second largest at 2,500 and Lewiston has 1,500. The major industries are tourism, local and federal government, timber and small private business. Unlimited, uncrowded recreation is only a few minutes from home and does not require and extended weekend to enjoy. 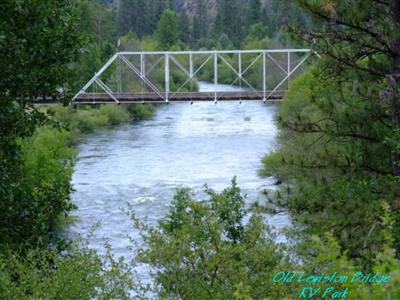 Trinity County, with mountains, lakes and rivers practically on the door step is a vacation like atmosphere year round. While you're here take the time to visit our parks, museums and art galleries. Play in the water at Lewiston, Ruth or Trinity Lake. Take a raft trip, hike into the Alps pristine alpine lakes, or mountain bike along South Fork Trail. You will be awestruck by the beauty of the area! Weaverville was named in the 1850's for John Weaver, one of three men who built the first cabin. The three men drew straws, allowing the winner to name the town. Weaver won, left shortly after and was never heard of again. Devastating fire destroyed the town on several occasions, eventually leading to buildings made of brick. Several remain today. Two have not changed the type of business for which they were built; the grocery and a drug store are still in operation. Spiral staircases were constructed to permit access to upper floor business. Three of the staircases are still visible in the Historic District. The rugged Trinity Alps spanning 517,500 acres, provide a picturesque backdrop to the lake. Thousands of backpackers, hunters, day hikers and equestrians experience the breath-taking beauty of the alpine lakes, tumbling mountain streams, lofty canyons and jagged mountains ridges. Trails through virgin snow entice the cross-country skier and the snowmobiler in the winter. With an abundance of wildlife and flora, the seasons create an evolving palette of colors for the eye, the camera and the paint brush. Take the self-guided auto tour on the Heritage National Scenic Byway. This tour will take you through some of the most beautiful country in the Shasta-Trinity National Forests. It will expose you to various Forest Service management activities, to the history of the area to the environmental complexities of this region. 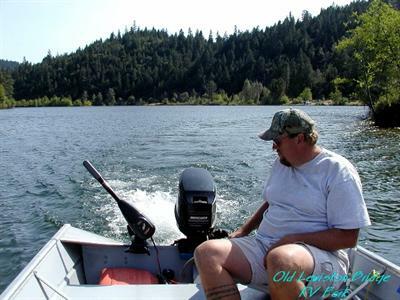 Water Sports The beautiful, secluded area of Trinity and Lewiston Lake offers excellent swimming, fishing, water skiing, canoeing, and sailing. After a cool swim you can enjoy sunning yourself along the shorelines or picnic with a backdrop of green forests and 8000' to 9000' peaks. Fishing, Hunting And Hiking Rainbow trout, German brown trout, Kokanee salmon, large and small mouth bass, sunfish, and catfish await the angler in rivers and lakes. Trinity Lake has turned out the state record small mouth bass weighing in at 9 lbs. 1 oz. Big game, upland birds, and small game are to be found in all sections of Trinity County. Hunting begins in the fall and last throughout the year. The county offers the hunter a choice of blacktail bucks, bear, predators, squirrels, and quail. Trinity County has more deer per square mile and a higher buck/doe ratio than any other in California. Hiking Trinity County is a hiker's paradise, with trails to take you into thousands of miles of wilderness. 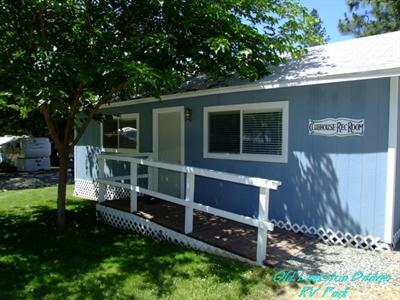 The uncrowded Trinity Alps are within easy access of Old Lewiston RV Resort. Jagged peaks and alpine meadows will take your breath away. Trinity's 200,000+ acres will provide exciting adventure for you and your family. Gold Panning The amateur gold panner can find "color" along the Trinity River. Professionals still dredge for gold as well.